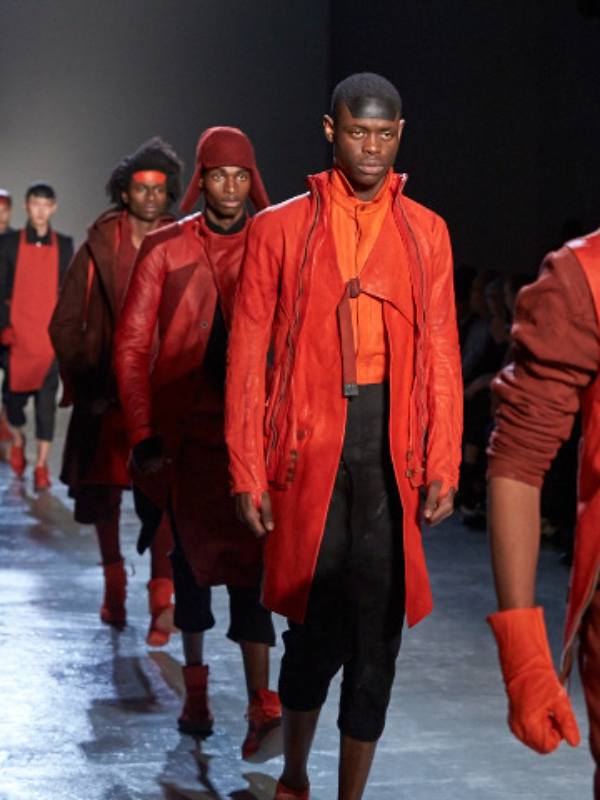 The collection opened with Red, not just any red but blood flowing red. I did not get the chance to see the press release from the collection but if Boris was conveying a hunt, he hit the spot. The collection was not all red, it was toned down to blacks, burgundy and tan just in case you want to look less intimidating . The look was urban, flowing with an unyielding look that was present throughout the collection. If I need to look tough without compromising style this is the look I’ll be going for. 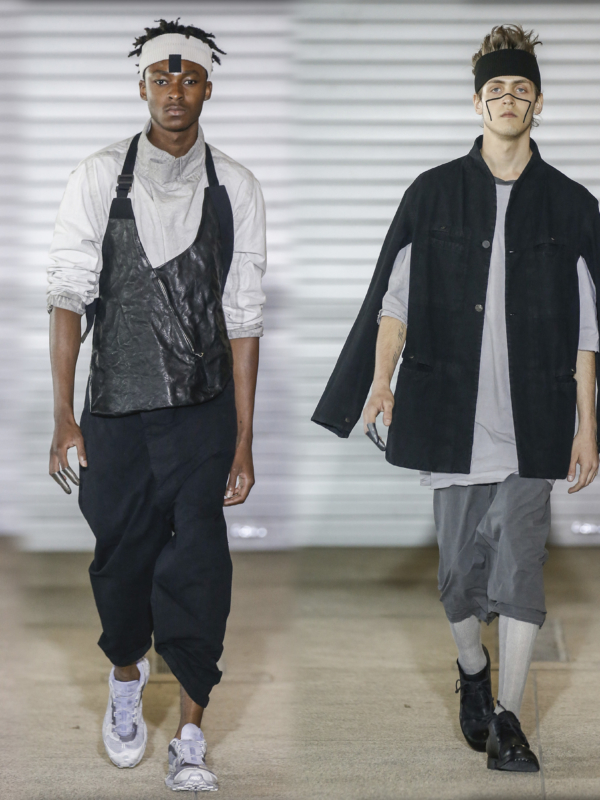 [ezcol_1half_end]The Collection also featured leather crafted, hats, gloves and sport inspired footwear. There is a mix variety of styles to choose from leather jackets, wool coats, aprons, jumpsuits, mid-calf pants and hooded jackets.